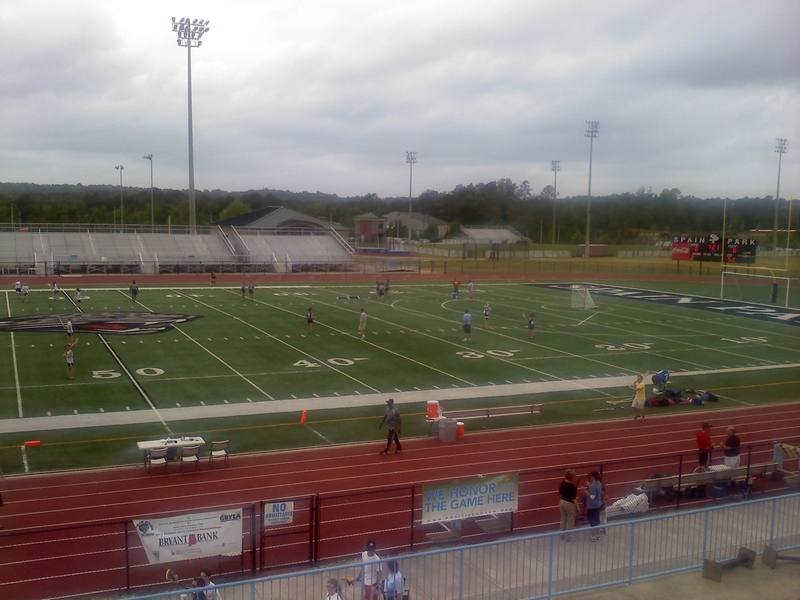 This weekend we went to Birmingham for a lacrosse playoff game Friday night. My daughter’s team won 17-16 in overtime against the #1 ranked team, so they progressed to the championship on Saturday. They lost that game 14-12, but I was proud of how well the girls played. They barely had enough girls for a team, so they all had to play the whole game, while the opposing team had enough girls for 2 full teams. Both games were exciting and enjoyable to watch. My husband and I had to leave work early as it was to make it to the Friday night game on time, and there was no time to stop at a restaurant and eat dinner. In the past I’m sure we would have gotten fast-food from a drive-through, although we are not big fast-food eaters normally. 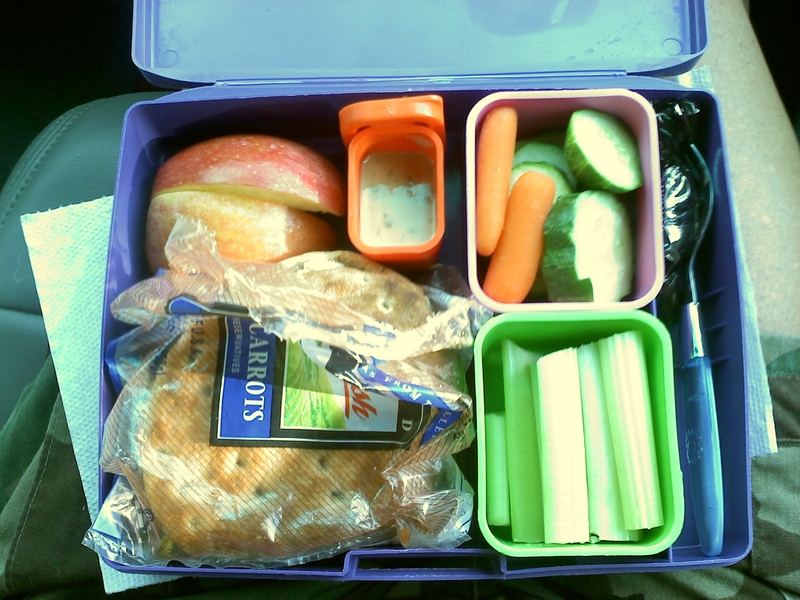 This time I rallied the support of the kids to pack our dinners. My older daughter actually made my husband’s sandwich. I found my dinner more filling than fast food. Yes I know that the environmental impact pales in comparison to the fossil fuel we burned driving to Birmingham, but it is still a small step in the right direction. We also all packed our own reusable water bottles and avoided the temptation of the free bottled water at the hotel. Next time I will think to pack coffee mugs for my husband and me. 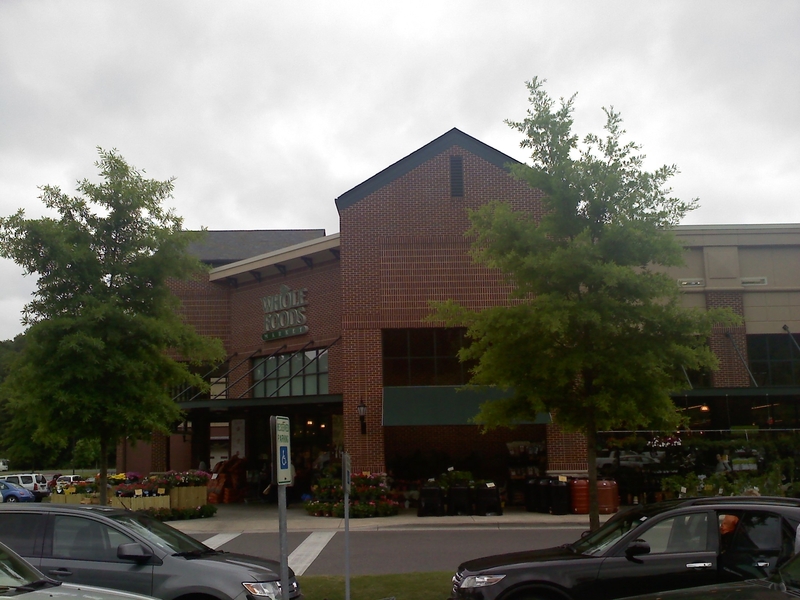 I was excited to see that there was a Whole Foods in Mountain Brook very close to our hotel! I realize that the nickname for Whole Foods is “Whole Dollar”, but they have a fantastic selection of natural and organic products. I didn’t think the prices on bulk items, produce or cheese were particularly high, so if you avoid their packaged goods you can get good deals. Their wines were high, but the beer was reasonably priced. I was impressed by the helpfulness and availability of their staff. The lady at the cheese counter was especially friendly and let us try samples of the cheeses. I found soap in bulk (unpackaged) and several flavors of my favorite toothpaste, Tom’s of Maine. We also bought dark chocolate, real white chocolate, cheese, whole wheat fig bars, a large bottle of my daughters’ favorite dressing, Cowgirl Ranch (on sale) and chia seeds. I’ve been wanting to try to make iskiate, a chia seed and fruit energy drink/gel, but I hadn’t found chia seeds in Huntsville yet. We ate lunch at the hot food and salad bar and everyone got to pick out healthy food that they like. I hope we will get a Whole Foods in Huntsville at some point, but my husband talked to one of the staff members and they said that the plans for a Huntsville store had been scrapped for the moment. The Earth Fare store opens May 12 in Huntsville, and I hope they stock similar items. I liked the summer drink ideas from the Whole Foods newsletter on page 19.